Orlando Tercero, the 22-year-old suspect in the homicide of Binghamton University student Haley Anderson, has been charged with second-degree murder. At a press conference on Saturday morning, Broome County District Attorney Steve Cornwell said the Binghamton City Court has issued a warrant for Tercero’s arrest. Tercero is suspected of killing Anderson, a fellow 22-year-old nursing student at BU, and fleeing to Nicaragua on an international flight. He was apprehended Tuesday at the Hospital de León and received medical attention for self-inflicted injuries, the Nicaragua National Police said in a press statement. Cornwell said there is no definitive timeline on when Tercero could return to New York, but the U.S. Department of State is working with the Nicaraguan government on extradition. Tercero has dual citizenship in the United States and Nicaragua. In New York, he faces 15 years to life behind bars. In a letter written on Thursday to U.S. Deputy Secretary of State John Sullivan, U.S. Sen. Chuck Schumer urged the U.S. Department of State to make the case a top priority. Cornwell also released new details on the case. 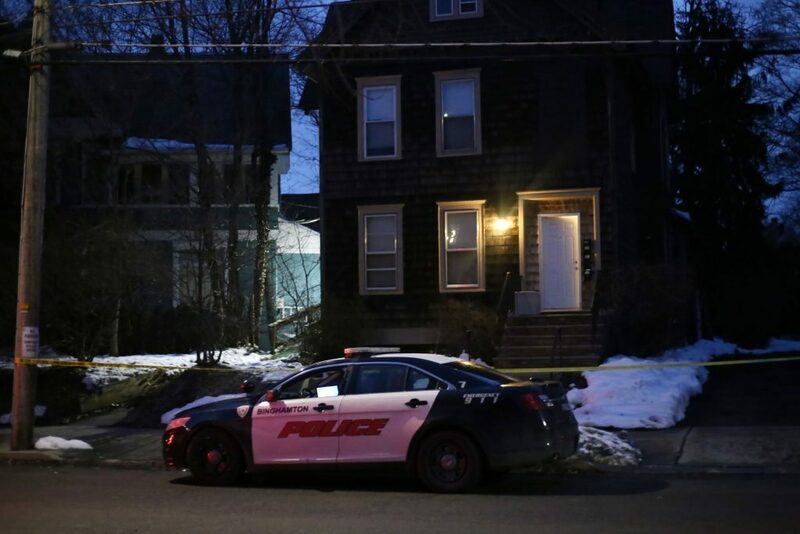 According to Cornwell, several of Anderson’s roommates found her body on Friday at 23 Oak St., a student residence on Binghamton’s West Side, after becoming concerned about her welfare. Police responded to the scene at 12:53 p.m. Anderson, a senior majoring in nursing from Westbury, New York, did not reside in the house. Her death was officially declared a homicide following an autopsy performed Saturday, March 10 at Lourdes Hospital in Binghamton. According to Cornwell, Anderson was strangled. He declined to release a motive because of the ongoing investigation. Currently, Tercero is being held in the Directorate of Judicial Assistance, a prison also know as El Chipote, in Managua, Nicaragua. “The National Police received a request from U.S. authorities for the location and capture of the delinquent Orlando Enrique Tercero Moreno, 22 years old, who [entered] Nicaragua on Friday, March 9 at 3:55 p.m. from the U.S.,” Díaz said. Tercero had been romantically involved with Anderson and left the United States before her body was discovered, according to police. The investigation is being conducted by the Binghamton Police Detective Division and assisted by BU’s New York State University Police, the Broome County District Attorney’s Office, the Federal Bureau of Investigation — Binghamton, New York/New Jersey HIDTA Program Resources, the Port Authority Police Department of New York and New Jersey and the Nassau County Police Department.